This is the first post in what will be a short series on what Arkansas defendants should consider before accepting a plea deal. We are addressing this subject due to the fact that, unfortunately, many who are accused of a crime enter into a deal which may not have been their best option. Our goal with our next several posts is to help those who are accused of a crime to make better decisions as their case moves forward. These are topics which are important to discuss. 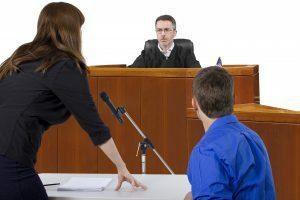 Quite often, for example, a defendant will enter into an agreement and accept a conviction without considering whether they can succeed on probation. Such defendants may subsequently fail a drug test, fail to check in with their probation officer, or otherwise violate probation and have to serve prison time as a result. If the defendant was one who had a legitimate defense to the underlying charge then he or she may later realize that accepting a plea deal was a bad decision. Our Little Rock criminal defense attorneys take a team-based and collaborative approach towards problem solving and ensure that clients understand all of the ramifications before entering into a plea agreement. We will work to ensure that one understands what defenses they have available and will be waiving, that one understands what the requirements of probation will be, and whether we feel a better offer will be made by prosecutors as the case progresses. If you have been charged in a criminal offense and are considering accepting a plea offer then contact our office today to schedule an initial consultation.